Imagine spending 22 hours a day locked in a room. You might be allowed to make a phone call; a half-hour break to exercise; a shower if you are lucky. Imagine having to endure this ordeal day after day after day without knowing when it will end. Now imagine how you would feel if no one knew it was happening to you and you felt powerless to do anything about it. Welcome to the unreported world of solitary confinement in prisons in England and Wales. It is a world that the Howard League for Penal Reform has regularly shone a light on through its legal work, policy work and research. What is solitary confinement and who is affected? The Supreme Court has described the “segregation” and “removal from association” of prisoners as “solitary confinement”. There is an emerging international consensus that ‘solitary confinement’ involves the physical isolation of individuals in their cells for 22 to 24 hours a day. 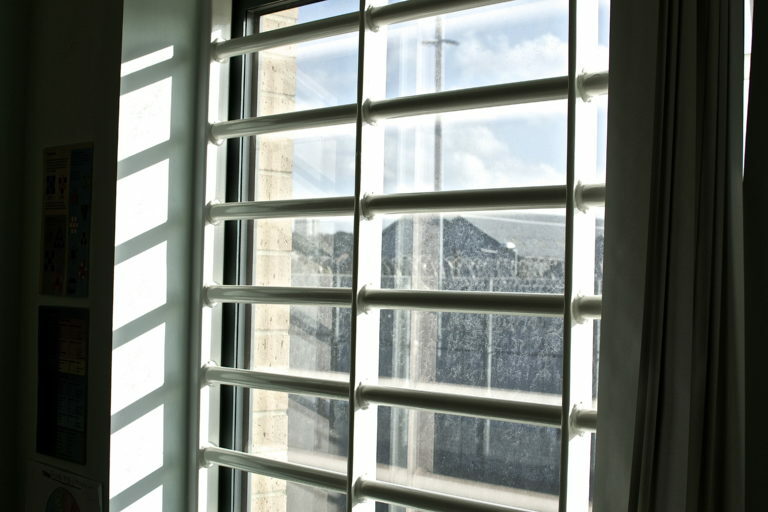 Segregated prisoners in England and Wales often spend 22 hours a day or more in their cells. Her Majesty’s Inspectorate of Prisons’ (HMIP) Annual Report 2012-2013 describes how in segregation units “[a]part from a shower and a phone call, most prisoners remained locked in their cells nearly all day with nothing to do”. Segregation can be used as a punishment for adults who break the prison rules, although it is strictly limited to a maximum of 21 days. It can also be used when a prisoner is waiting to be adjudicated for a breach of the prison rules. Prisoners, including children, can also be segregated for “good order and discipline” if it “appears desirable, for the maintenance of good order or discipline or in his own interests”. There is no time limit for this, although (since September 2015) after 42 days the Governor of the prison must seek authorisation from the Secretary of State for it to continue. Children and adults are often segregated for their own protection and can be segregated while they wait for a transfer to hospital under the Mental Health Act. As far as we are aware the number of prisoners subject to segregation throughout England and Wales is not publicly available, although one in every three children in prison will spend some time in isolation during their stay in prison. The case of R (SP) v Secretary of State for the Home Department  EWCA Civ 1750 brought by the Howard League resulted in a change in the law requiring that children should have a chance to make representations before they are segregated for the maintenance of good order and discipline or in their own interests. We have also successfully challenged unlawful policies resulting in the isolation of children and young people in the cases of R (KB) v Secretary of State for Justice  EWHC 15 (Admin) and R (M and others) v Director of Ashfield and Secretary of State for Justice  EWHC 438 (Admin). The latter case, in which we challenged the treatment of seven children in Ashfield prison, highlighted serious flaws in the disciplinary process in the prison, as well as finding that the prison engaged in unlawful practices of isolating children without regard to their own rules. We provided expert evidence and legal argument before the Supreme Court in the case of R (on the application of Bourgass and another) v Secretary of State for Justice  UKSC 54 which led to the revision of the Secretary of State’s segregation policy. Read our evidence and legal submissions. The court ruled that prison governors who keep prisoners in solitary confinement for longer than 72 hours are acting unlawfully. We have also brought numerous complaints about the use of isolation to the Prison and Probation Ombudsman (PPO). We successfully challenged the isolation and lack of education provision for a boy in Feltham prison in the case of R (AB) v Secretary of State for Justice  EWHC 1694. The court found that the boy’s isolation was in breach of Article 8 of the European Convention on Human Rights as it was not in accordance with the law. The case had a substantial impact even before the judgment was issued: the Ministry of Justice is reviewing all of the policies and procedures in relation to keeping children in solitary confinement and reviewing the provision of education for children who cannot attend mainstream classes. The isolation of children was one of the three themes that formed part of Lord Carlile’s independent inquiry commissioned by the Howard League. We submitted evidence to the House of Lords’ Secondary Legislation Scrutiny Committee regarding a Statutory Instrument amending the way segregation is authorised and reviewed. We responded to the National Offender Management Service consultation on proposed changes to segregation policy. We have convened two roundtable meetings with the Association of Prison Lawyers to discuss issues concerning the segregation of prisoners.